The Llanberis Lake Railway (Welsh: Rheilffordd Llyn Padarn) is a 1 ft 11 1⁄2 in (597 mm) narrow gauge heritage railway that runs for 2.5 miles (4 km) along the northern shore of Llyn Padarn in north Wales in the Snowdonia National Park. The starting point is the town of Llanberis at the eastern end of the lake (53.1175°N 4.1193°W﻿ / 53.1175; -4.1193﻿ (Llanberis station)), with the western terminus at Pen Llyn in the Padarn Country Park (53.1370°N 4.1495°W﻿ / 53.1370; -4.1495﻿ (Penllyn station)). The return journey takes around 60 minutes. 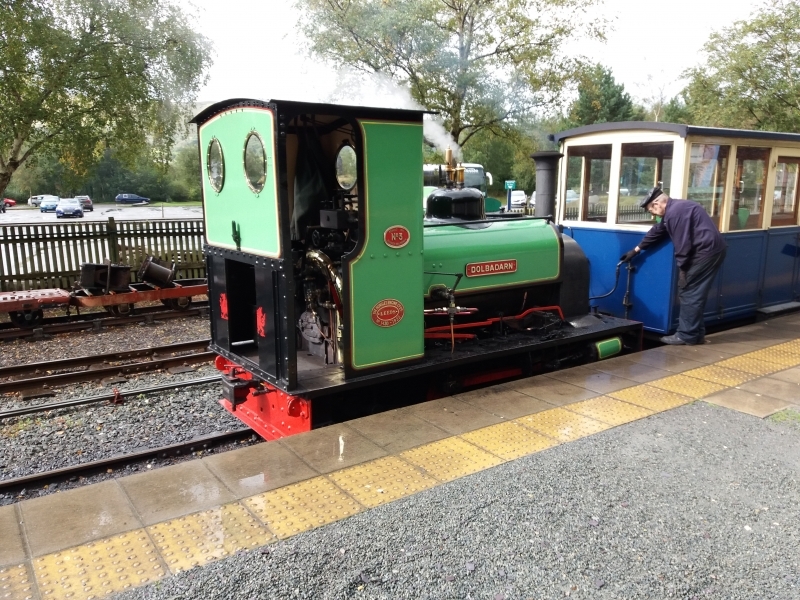 Please give us your overall rating for Llanberis Lake Railway.